If you’ve decided to trade with cryptocurrencies, Binance is one of the best exchanges to go with. 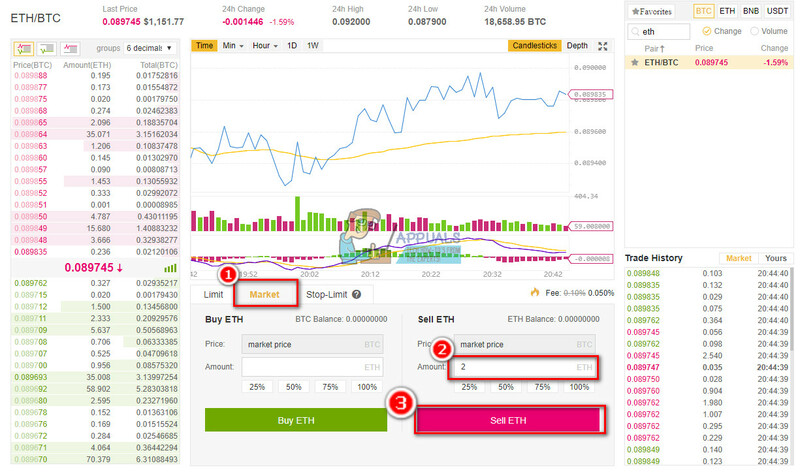 However, before you jump in and start the actual trading, you need to examine how Binance works. This guide will explain how to trade on Binance and use its features to increase your trading profit. The first step of your trading journey in Binance starts with registering. 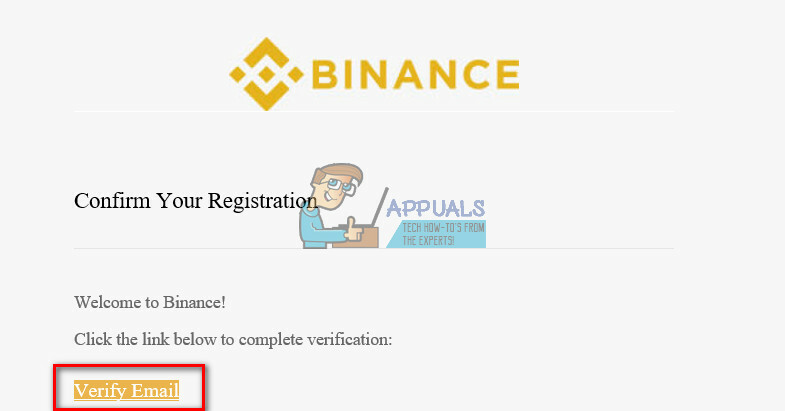 To do that, click on the following link Register on Binance. It is my referral link, and I would really appreciate if you could use it. After clicking it, the following page will open up. Now, click on the Register at the top right and fill out all required information. Click the register button, and a confirmation mail will be sent to you. Open up your mailbox and confirm your identity by clicking the link in the confirmation mail. Binance recommends using Two Factor Authentication (2FA) on your account. It adds you additional protection. 2FA adds an extra level of security on top of your password. So, even if someone hacks your password, they CANNOT log into your account without your 2FA code. This 2FA code is generated by an app on your smartphone. Google Authenticator is the only extra level of protection available for those of us not in Mainland China. 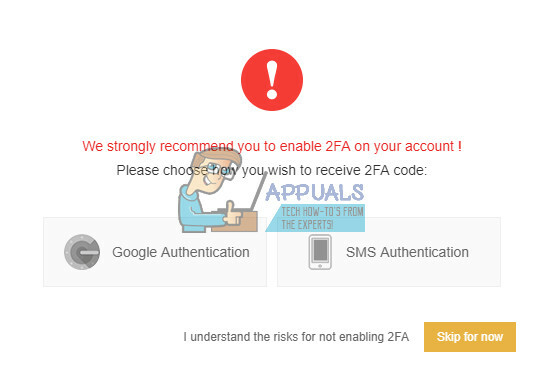 To activate 2FA, download the Google Authentication App from the provided links in Binance. Now, open the Google Authenticator app and tap the red + button. Now, scan the QR code on your screen and enter the Two Factor Authentication code provided by the app. You have successfully created 2FA protection on your Binance account! Before you start trading on Binance, you need to deposit money into your account. You can do that directly from your cryptocurrency wallet. Don’t Have a Cryptocurrency Wallet? Binance does NOT support fiat (USD, GBP, EUR, etc.) deposits. So, if you want to get your money on Binance, you need to deposit into a different cryptocurrency exchange first. For that purpose, you can use Coinbase or any other cryptocurrency exchange that supports fiat currency deposits. Some exchanges allow purchasing with your credit card, connected bank account, Paypal account, SEPA transfer, Interac Online, and a few other payment methods. So, make sure you choose the one that best suits your needs. Once, you deposit funds into your cryptocurrency, you need to transfer them to Binance. If you have funds on your cryptocurrency wallet, you can send them directly (peer-to-peer) to your Binance account. Login to your Binance account and go to the Funds section. From the drop-down menu choose Deposits. Choose the cryptocurrency you want to deposit in from the list or search for it in the search bar. Select it, and you can see your cryptocurrency wallet address. Now, copy your cryptocurrency deposit address from Binance. Open your cryptocurrency wallet and navigate to the Send section. Paste your deposit address (the one you’ve copied from Binance) in the recipient box. Enter the amount of coins you want to send and click continue. Depending on the coin you send and network congestion, the transaction could take a while. Once the incoming cryptocurrency funds hit your Binance account, you are ready to start trading! To start trading on Binance, you have to be aware of what trading pair is. Any cryptocoin on Binance can be only traded with other specific cryptocoins. That pair of trading-compatible cryptocoins is called trading pair. While in the Basic Exchange page, take a look at the top right corner. You will see 4 options for your primary trading coin (BTC, ETH, BNB, and USDT). 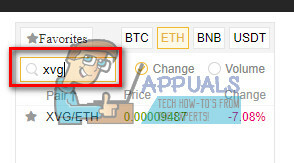 You can select one of these (ETH for example), then search for the coin you want to trade with. Once you have your primary trading coin selected, type the coin you want to trade in the search box below (I will type XVG). Now, click on the XVG/ETH link. That will take you to a new page (You can also tap on the star icon next to the XVG/ETH pair to add it to your favorites). To buy the coin you searched for, follow these steps. Go to the Market tab (you can see it in the picture below). Congratulations! You’ve just made the first purchase using ETH. If the cryptocoin doesn’t take ETH as a pairing cryptocurrency, you will need to exchange your ETH to BTC first, and then make the trading. Here is how to do that. Click on the BTC tab (next to the ETH one). Now, search for the cryptocoin you want to trade (ETH in our case). Enter the amout of ETC you want to sell (or a percentage of your total ETH balance). Now you can sell and buy cryptocoins that don’t take ETH paring. With BTC you can buy all supported coins on Binance. Stop-Limit Order(stop-loss or buy-stop) – a feature that allows you to choose a price (higher for selling and lower for buying) that you want to trigger a market order at. You can use this to protect your funds from losses and take advantages of run-ups. The stop-loss feature is a smart way to manage potential losses. However, in the cryptocurrency-trading world they also can be also in some aspects. This is the case because of the volatility nature of the cryptocurrency market. Ever hear about time either went to a couple of cents from like a hundred for a moment. Many people ended up automatically selling for that price because they’ve set up a stop-loss feature on their accounts. And the conclusion is: If you use this feature smartly, you can have a great benefit from it. 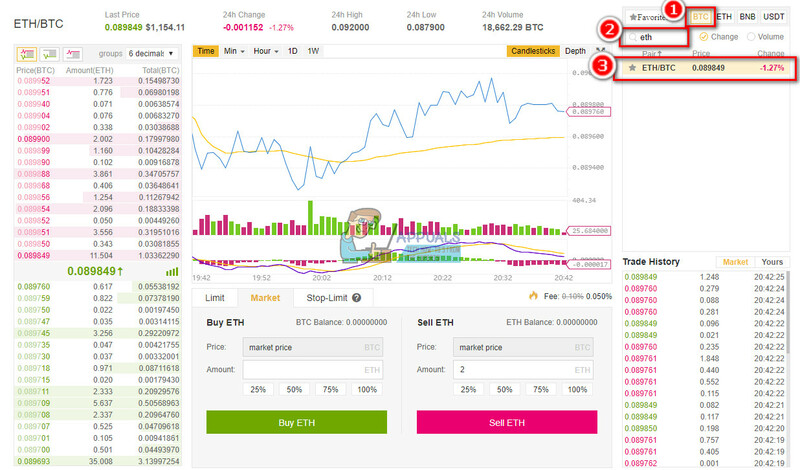 On Binance, you can find the Stop-Limit option on the tab next to Market. 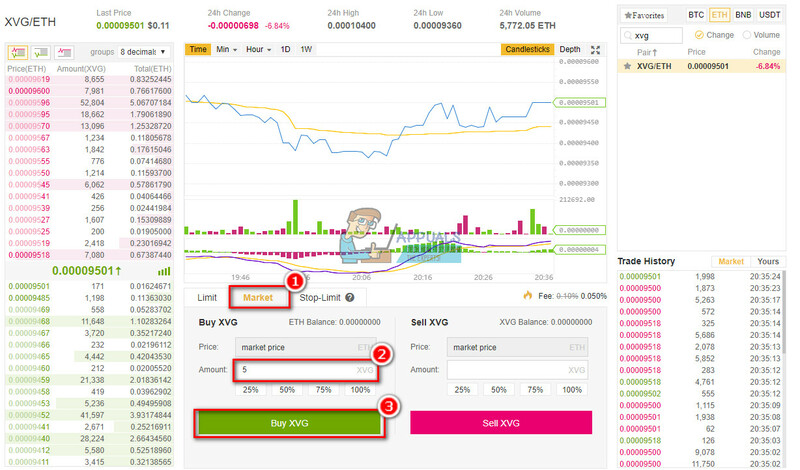 While in the Basic Exchange page, click on Stop-Limit (next to the Market tab), and you will see the following picture. From what you see, there are three parameters in both Buy and Sell sections you need to enter. The Stop price – Enter the price at which you want the Limit order to appear on the order book. The Limit price – Enter the price at which you want to sell your token. The Amount – Enter how many tokens you want to sell (the amount of coins). The stop-limit option provides a lot of flexibility. You may set a stop-limit order just below your buy-in price. So, if the price drops, you can mitigate the damage and keep your potential losses to the lowest level. You can also use the stop-limit mechanism for buying. Set a buy price (that you are considering as a buying opportunity) and Binance will automatically buy coins whenever the market price drops to your level. Similarly, you can automatically react to downward investment trends. For newcomers, it can be really hard to figure out all Binance’s features and opportunities at once. So, I made this short guide in the hopes that it will help somebody out there, and make it more clear. Feel free to let us know whether this article was helpful for your crypto trading journey on Binance in the comment section below. Also, if you are interested in other cryptocurrency trading exchanges, check this article Best Crypto Trading Exchanges Review.